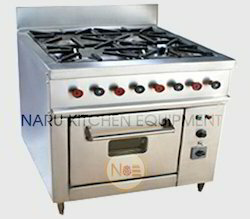 We are the leading and prominent Manufacturer, Supplier and Exporter of 2 Burner Gas Range with Oven. With the help of our experienced engineers, we are able to design and develop a vast range of Six Burner Cooking Range. They are controlled by the high efficiency power. It has six burners containing a triple-ring, high-efficiency burner with separately controlled flames. It has a safety device which controls high flames. 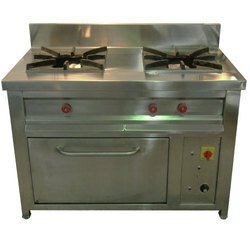 Six Burner Continental Cooking Gas Range has Adjustable legs. 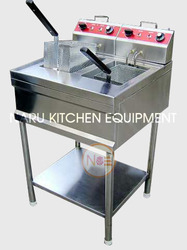 We are the leading manufacturer and supplier of very high-grade Stainless Steel Deep Fat Fryer to our customer. These products are available at a very affordable market price to our most trusted customers. These products have the German made thermostat temperature control system with ISI or anchor wiring attachments that ensure superior quality and long lasting effects. These products are highly recommended in restaurants, bar and hotels. These products are manufactured from very high-quality raw materials that are sourced from very reliable vendors. Looking for Two Burner Gas Range ?